No. We just want you and your fellow learners to feel relaxed and comfortable. Can you help me build a product? Yes. Our goal is to help you reach yours. We have a variety of workshops to help you build out your product, launch it and even get over to Silicon Valley if that is what you are aiming for. What spec laptop will provide the best experience? A base model 13" Macbook Air is all you need. Windows users will be encouraged to install Linux or use a Linux Virtual Machine so higher RAM is recommended. What courses have application processes? There are no interviews for short courses and our kid's courses but between 2 & 3 for more intensive Boot Camps. What kind of projects do people build? For the Fast Track bootcamp, students will complete three major projects and a series of challenges. For the shorter workshops the focus is usually 1 main project. We introduce current real-world projects for you to work on or encourage you to bring your own ideas to create a product of your own choosing. What time commitment is needed? Please refer to the particular program for the specific attendance hours. Of course you get out of it what you put into it and we are open and available for you to work on your own projects after hours. Generally, you'll get more out, the more hours you put in! Just make sure you keep refreshed to get maximum value out of your time. No. You just need to be interested in coding, and possess a willingness to learn. How many interviews are there after applying? There are two to three interviews, where we will assess your suitability for the course. I don't have any coding experience, can I still do this course? We recommend you've had a little try of some basic coding. Maybe you've built a web page or created a small command line application. Either way, you know a bit about the career you're signing up for. I have coding experience. Is this course right for me? Absolutely, we see a wide variety of students coming in, some will have tech and even programming experience, some might even have Engineering or Computer Science degrees. Unfortunately a lot of programming education does not prepare you for a career, or for hands on product building. Our courses are the perfect way to transform existing general technical skill, into a high demand career. If I apply for Fast Track, when do I know I got in? We process applications constantly and will have an answer to you within 2 days. I am an international student. Can I get a visa for this course? Yes. Our bootcamp courses have CRICOS approval for our Sydney and Melbourne campuses. Do I need my own computer or special software? The software is free, but you will need a reasonably current computer to develop on, i.e. 2011 or later, and have at least 4GB of RAM. You'll have a better time with Mac or Linux. If you have a Windows laptop, we're happy to help you set up a dual-boot. We offer a variety of partial/full scholarships offered by both our company and other potential employers including Women in Tech. Please ask our staff to give you more information. I am under 18. Can I still do the course? We do accept students as young as 16 on a case by case basis into our program with the permission and signed release from a guardian. What should I do to prepare for the course? Depending on the course you choose there are a variety of on-line pre learning modules that can be taken to give you some basic foundations. These will be supplied to you once our application is complete. Can I get recognition for courses that I have done previously that are similar to this course, or for industry experience? Yes, credit transfers and recognition of prior learning (RPL) are available. To apply you must submit an application form to Student Services. Your application will be assessed on a case-by-case basis by the Lead Educator, who will decide whether you are eligible for a credit transfer or RPL. All of our teachers have a deep understanding of the programming industry and have worked with small and large teams in creating commercial products. They've worked in agencies, software companies, and non-tech companies and know what it takes to be successful in all. A hands on introduction to all the critical skills and concepts needed to understand web development, followed by challenges to cement and deepen your skills. You learn by making, and the teachers guide you through it. Yes, all of our qualifications are nationally recognised. What coding languages will students learn? The course focuses on the latest web application development languages and frameworks currently relevant in industry. These skills are in high demand from both tech startups and large companies that are embracing technology. Do you teach coding fundamentals? Of course! Coder Academy aims to teach you both the tech you'll need to break into the tech industry now and the concepts that will keep you in stead for a long, successful career! 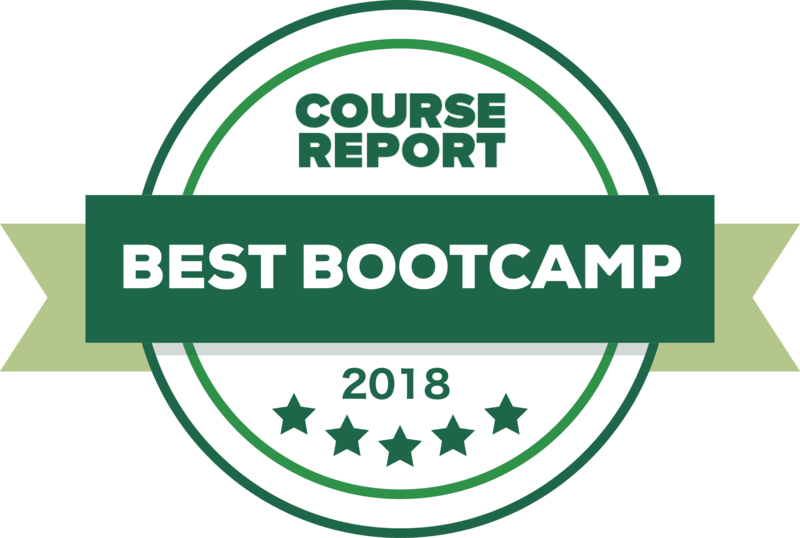 You'll learn the functional and object oriented programming paradigms, database design, and a fair slab of networking or 'how the web works', as part of your immersive coding bootcamp experience. May I talk to any past students? Of course! We have a strong alumni of past graduates. Read our testimonials and ask us to put you in touch with fellow technology enthusiasts. We also have regular meetups to hang out with recent and past graduates. Some weeks are full of lessons and challenges, others are entirely project work. There are many options of evenings/weekends or weekday sessions. We have breakout areas to hang out in the sun, slouch in a bean bag or crunch through ideas in meeting rooms. What kind of people will be in the class with me? People who are passionate about technology and want to learn to code. We get a nice mix of reasonably code savvy individuals and complete newbies - it all adds to create a stimulating learning environment. Do you offer any housing? No. However, we can assist with some accommodation service providers. No, However on occasion we will have a catered meal for an event or celebration. While there are 40 contact hours most weeks, you will get more out the more you put in. How many people in a class? Classes will average 25 to 30 students. There will be two TAs and a Lead Teacher. Can I work while doing the program? The intensive Boot Camps are designed for a fully immersive experience and we would not recommend trying to work around the classes as a lot of extra time is needed to build your projects and sharpen your skills. We do have a wide range of other workshops that are held in evenings/weekends and are designed to fit in around a full time work schedule. Is it full time in class or can I do some remotely? We have some introductory foundation material available as on-line classes but the bulk of the learning happens in face to face classes. Do you offer this course in part-time mode? The Fast Track US-style coding bootcamp is an intensive full-time program designed to help students become a full stack developer in 6 months. It is a proven method in the US for producing efficiently, highly employable graduates. We also offer a 12-month GenTech Bootcamp which contains the same full-time course load but is the standard track version of our Fast Track program. The GenTech course is a great alternative for those looking for a less intense option as it runs over 43 weeks/21 hours per week to allow students more flexibility with their time. What if I miss a few days of class? You will be expected to make the work up or re-take the session. We have a variety of classes running at the same time making it easy to find an alternative session to attend. What is a Junior Developer? A Junior Developer is someone who is just starting their career in software and will benefit from a mentor. A Junior Developer is much like any other entry level role. You'll need to continue to seek knowledge to grow more experienced in your role with any company you join. No, but we have great connections with industry in both Australia and the USA. Every student who graduates and follows our job search plan will find endless career support throughout their life in technology. What is the industry average salary earned by a software developer?